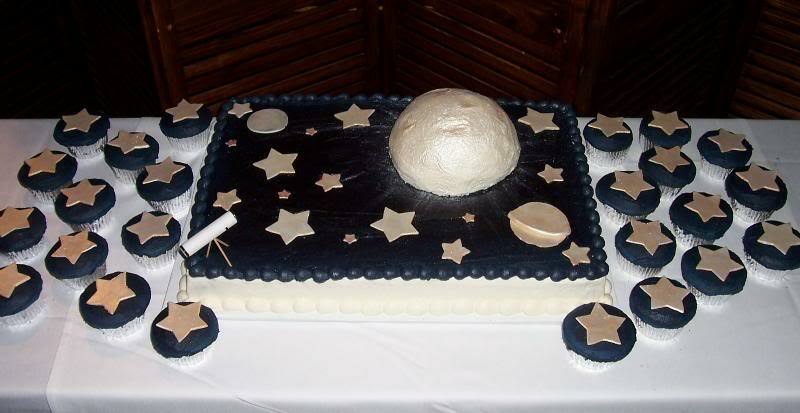 This groom was into Astronomy, so the bride wanted the grooms cake to reflect that. The sheet cake has a few planets and stars with a moon along with star cupcakes. Did you notice the tiny telescope in the lower corner?